How have you all been doing? Today we are going to talk about a deadly roll of cotton. Yes, you read it right, a deadly roll of cotton. Making creepy creatures out of ordinary objects, that, my darlings, is a talent. 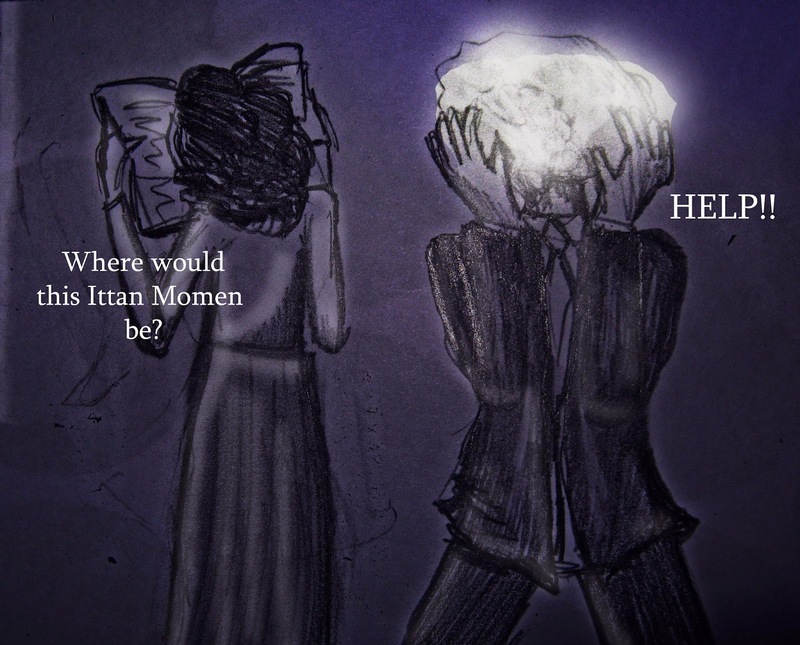 The Ittan-Momen is a roll of cotton that just flies around in the wind at night but if you happen to be around there, it will either wraps itself around your neck and choke you, or wrap itself around your head and suffocate you. It sounds like the alien movie, where those wrap their legs around your face. Yes, my alien pet told me that. But wouldn’t it be funny, if you would decide to have a nice evening walk, and in you find yourself being chased from a deadly roll of cotton. "Making creepy creatures out of ordinary objects, that, my darlings, is a talent." "It sounds like the alien movie, where those wrap their legs around your face. Yes, my alien pet told me that." LOL. You always manage to make me laugh, even when I'm at work (like now)...I'm lucky there's no one around at the mo. Also, the image. LOL again ;). I always look forward to your monsters. They make my day every time!